Whither the Peace Bridge? 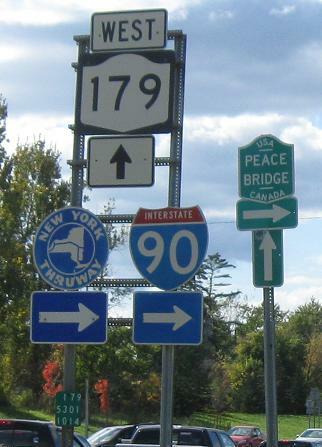 On I-90 you pay a toll, but continuing to NY 5 you face traffic signals. 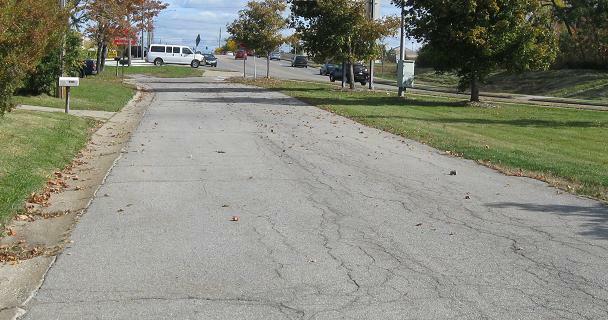 Looking east at one old section of Milestrip Rd., and west at a short dead-end that is another. 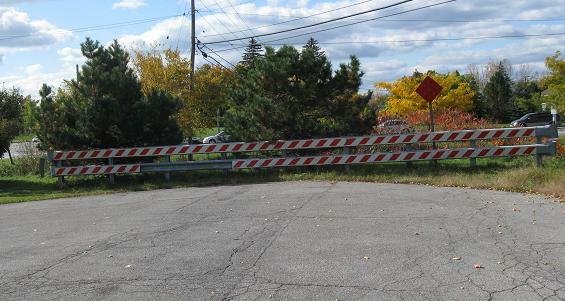 There are four old sections, one of which is Maple Ave., bypassed with the intent of creating a freeway. The freeway was supposed to be part of an Outer Belt connecting all the way around to the LaSalle Expwy.. Looking east and west on the little piece of Milestrip east of the I-90 Exit 56 ramps. 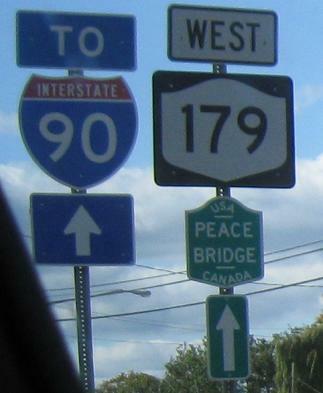 Milestrip and Maple on the east and west sides of the I-90 ramps. 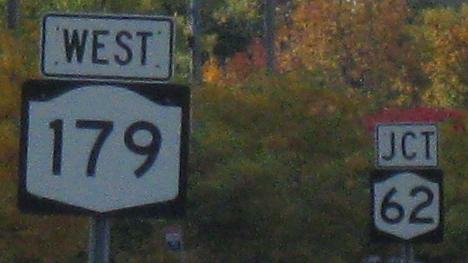 Very common western NY shield error for US 62.